Poor lighting can ruin the appearance of even the most well maintained property. When a home’s interior is cast in beautiful ambient light, the entire space is brought to life. When it comes to interior design, well-structured lighting is the key to turning a liveable room into a breathtaking room. Luckily for you, a qualified Toronto electrician can help transform your home lighting into something special. The same is true of exterior home environments. We see it all the time—stunning patios, decks, backyards, driveways, and walkways can all be ruined without an appropriate source of light. Whether it is inside or outside the house, a reputable Toronto electrician has the skills and expertise to provide industry-best lighting services. Do you want to find out how a Toronto electrician can help you outfit your home’s exterior with premium quality lighting? Read on and discover everything there is to know about providing your property with that warm and welcoming feeling every well-lit home has. Outdoor lighting can be subdivided into several categories. First among them is outdoor wall lighting. Let’s go through some of the many perks that properly installed outdoor wall lights can offer a Toronto homeowner. Unlike deck lighting, decorative lighting, or landscape lighting, outdoor wall lights are specifically designed to emphasize ambiance and reflection against the wall’s surface. are typically lit via motion sensors. This can really take a load off a homeowner’s mind. For example, the use of motion sensors removes the need to remember to turn the light off or on as desired. Instead, this function is fully automated. Sounds complicated, right? Think again. A qualified Toronto electrician can walk you through the entire automation process. This makes installation and setup a breeze. Simply pick out the light that best fits your wall, and leave the rest to a Toronto master electrician to handle the rest. One of the best perks of outdoor wall lighting is its dual function as a security device. Since wall lighting is usually activated by motion sensors, the movement of a potential burglar or trespasser can be easily picked up on. In doing this, your outdoor wall light can expose criminal activity before it can be carried out. Did you know that Toronto homeowners are several times more likely to have their property compromised by the threat of an intruder? With the help of a Toronto licensed electrician, there’s no need to worry. A properly installed motion-activated outdoor wall light can stop an intruder dead in their tracks. In fact, recent reports have proven motion lighting to be more effective at deterring intrusion than households without motion lighting. When your outdoor wall lights are equipped with motion sensors, you end up saving big on your monthly hydro bill. This is because automated lights know exactly when to turn off and on. As a consequence, you end up not having to remember to turn them off. Just like that, every month you can shave money off your bill since you will never accidentally leave your house lights on again. This is just one of several ways that a Toronto electrician can help you save on your monthly expenses. Most modern outdoor wall lights are fixed with a surface mount or standard wall mount. In most cases, surface mounts are equipped with low voltage bulbs (i.e. 12V U.S. standard). Like wall mounts, surface mounts can be difficult to set up. An improperly installed surface or wall mount can result in structural failure and other potential hazardous can that cost you money in the long run. With the help of a Toronto master electrician, you can rest assured knowing that your rig is sustainably installed. A properly lit yard can make a world of difference. Almost every day we notice countless beautiful yards that disappear when we drive past them at night. Ask yourself: what’s the point in maintaining a gorgeous, fully fertilized yard if you can’t even see it half the time? That’s where Toronto electrical contractors come in. A Toronto electrician can equip your yard with adequate, budget-appropriate lighting that can fit its specific needs. Whether small or large, flat or sloped, a reputable team of Toronto electricians has the right skills to get the job finished to your satisfaction. Gas yard lights rely on gas-powered lanterns. These lanterns burn natural gas to provide strong, all-night illumination. Gas lights are normally freestanding and not connected to the wiring system embedded in the house. In most cases, we find gas yard lights are best suited for placement in the centre of a plant garden. This is because gas lanterns have a higher electrical output, which tends to provide bright illumination in all directions. A Toronto electrician can help install bright lights such as these to showcase your garden, hedges, or yard. Unlike gas yard lights, solar yard lights use thermal energy from the sun to produce electrical output. These lights are bundled with photovoltaic (PV) panels that can absorb light from the sun, which is then stored in high-capacity batteries. Choosing solar yard lights is a great option for those who are looking to transition to a more environmentally friendly lifestyle. 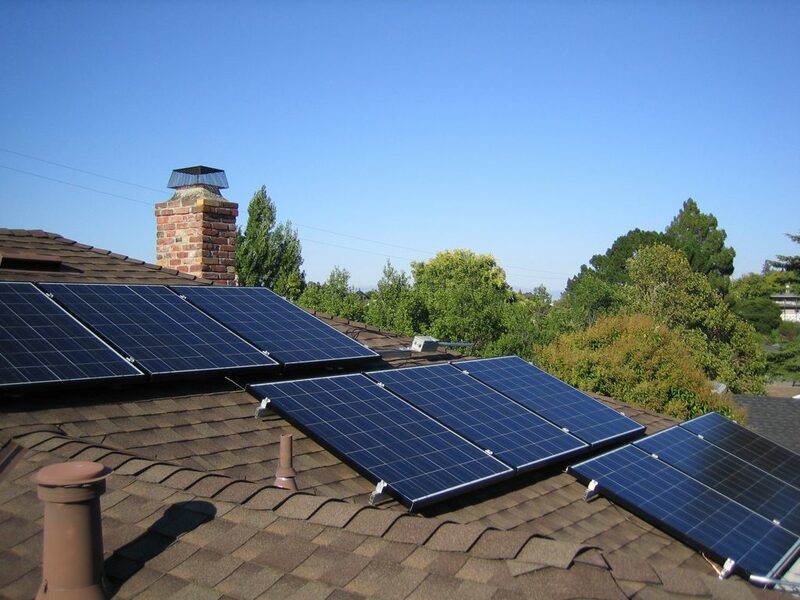 However, there are a few important issues that must be taken care of when installing solar yard lights. First, the PV panels must be placed in strategic locations. Specifically, the panels should face the direction of the sun during the majority of regular daylight hours. Secondly, the panels should not be obscured by trees or any other object. Finally, the solar batteries must be discreetly placed so that they are not exposed to anyone viewing the garden. You wouldn’t want the yard you have worked so hard to maintain to be tainted by a pair of eyesore batteries, would you? Instead, leave these tasks to the pros. Contact one of our many Toronto electrical contractors to set up a consultation. With their help, you can easily find a solution that works for you and your yard. It is important that you ensure your outdoor lighting can withstand Toronto weather. Here in Canada, we are fortunate enough to have four unique seasons. Each of which bring their own weatherproofing considerations that must be accounted for. Luckily for you, a Toronto electrician can ease you through the process. 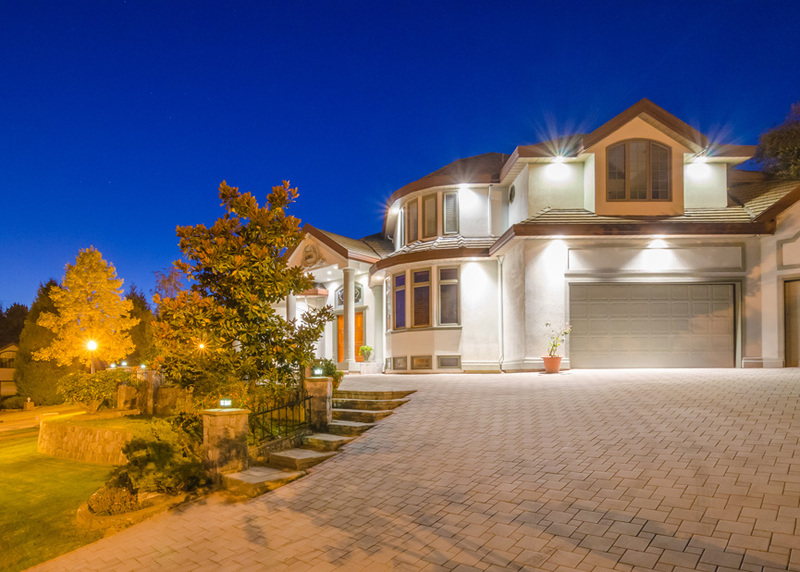 The experts at Hotwire Electric have years of experience assisting Toronto homeowners with making sure their yard lighting is ready for Canadian weather. 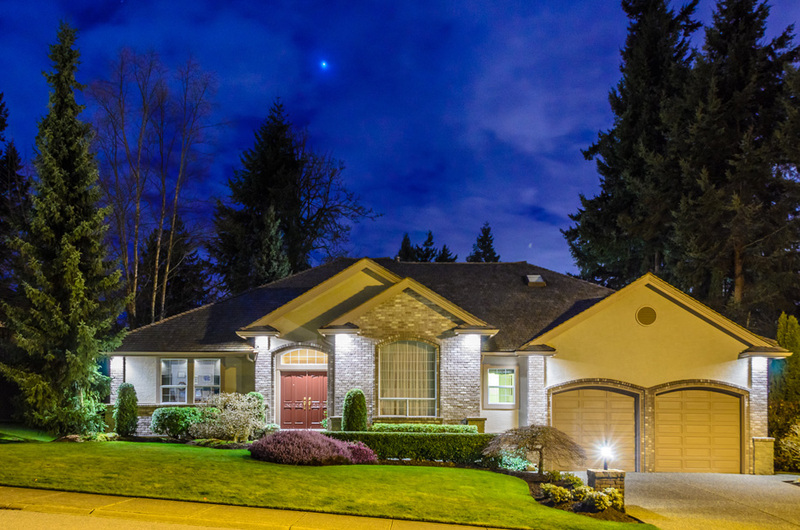 In the winter, it’s important to make sure your yard lights are strategically placed in a location elevated off the ground. This way, the lights can evade snow cover. In the spring and summer, waterproofing your lighting and wiring system is another critical concern. In the fall, we recommend reinforcing your lights with additional mounting brackets so that they are resistant to harsh wind conditions. Regardless of the weather, every outdoor light must be protected against the elements. Exposure to water can not only extinguish the flame, but it can also do lasting damage to the light itself. For example, it is not uncommon to find water-penetrated lights with bulbs that have shattered or short circuited. To prevent this, consult a Toronto electrician to help you with weatherproofing your lights. A Toronto electrician can help you select and install a state of the art garden lighting system. Far too often we find that beautiful, well-maintained gardens are completely invisible at night. This is a shame because a good garden is something a homeowner should have proudly on display both during the day and night. 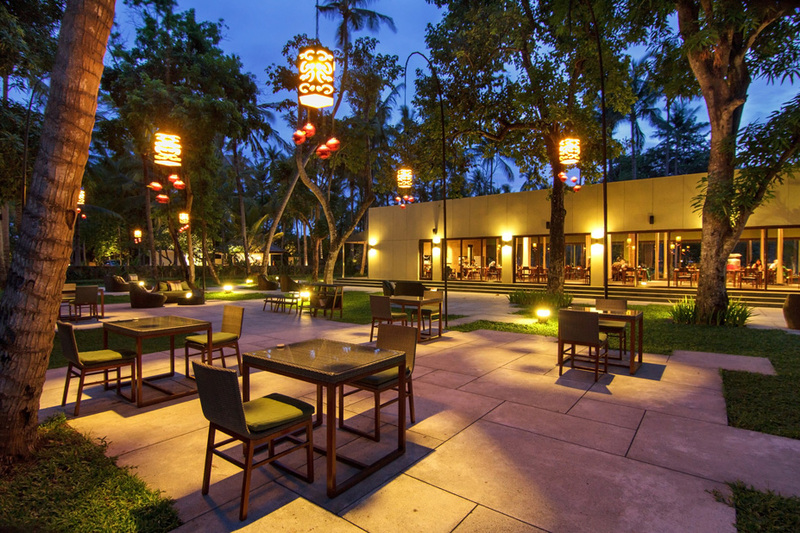 Garden lighting is one of the most creative domains of lighting. This is because garden lighting is all about originality and expression. For example, coloured lighting, decorative lighting, and spotlights are all commonplace in illuminated Toronto gardens. Let’s walk through some of the main aspects of garden lighting that a Toronto electrician can assist you with. Coloured garden lights can make a great addition to any Toronto home. More often than not, coloured garden lights are powered by energy efficient LED bulbs that emit bright light through a coloured pane. This produces an optical illusion in which the light is perceived to be the colour of the glass pane. One of Hotwire Electric’s many Toronto master electricians can help you select and install coloured lighting in your garden. When placed with the right aesthetic touch, coloured lights can provide smart and appealing contrast to the natural colours found in your garden. As a result, your garden can become more dynamic and eye-catching with the help of a Toronto electrician. Decorative garden lighting is similar in function to coloured garden lights. This is because they both serve primarily aesthetic ends. That is, decorative lights should be placed with visual appeal in mind. While it’s important to ensure that the entire garden is fully illuminated, decorative lighting is more about introducing accents and highlights to specific pieces of the garden. If your garden is lacking that extra “pop” that you have always wanted, it may be in need of a decorative lighting setup. A trained Toronto electrician can walk you through the process from start to finish. All of our Toronto licensed electricians have years of experiencing in designing garden lighting, from choosing decorative sconces to sourcing the best fence fixtures to cast gorgeous indirect light on your garden. Nothing commands attention like a well placed spotlight. When put in a garden, a decorative spotlight can help draw a viewer’s gaze toward its focal points. Maybe your seasonal flowers have recently bloomed, or perhaps your shrubs have just been trimmed. In either scenario, a Toronto electrician can provide strategic advice and setup assistance with garden spotlights. Living in the Toronto area, our homes are presented with various unique features that can be accentuated with the proper use of lighting. While each Toronto homeowner has their own specific landscape to work with, there are several lighting options that suit a wide variety of landscapes. Unlike tiki torches, torch lights do not illuminate via an open flame. Instead, they rely on rechargeable batteries or conventional electric fixtures. Any Toronto homeowner interested in longevity should opt for electricity-based fixtures, as they guarantee a longer lifespan and a more reliable illuminance output. Our team of Toronto electricians has years of experience assembling and installing torch lighting. Over the years, we have found that torch lights add the perfect touch to poolside spaces, decks, and larger grassy areas. Consult a Toronto electrician today to find out if your yard might benefit from the exotic aesthetic that torch lighting can provide. Does your home have a pool, pond or body of water located on your property? 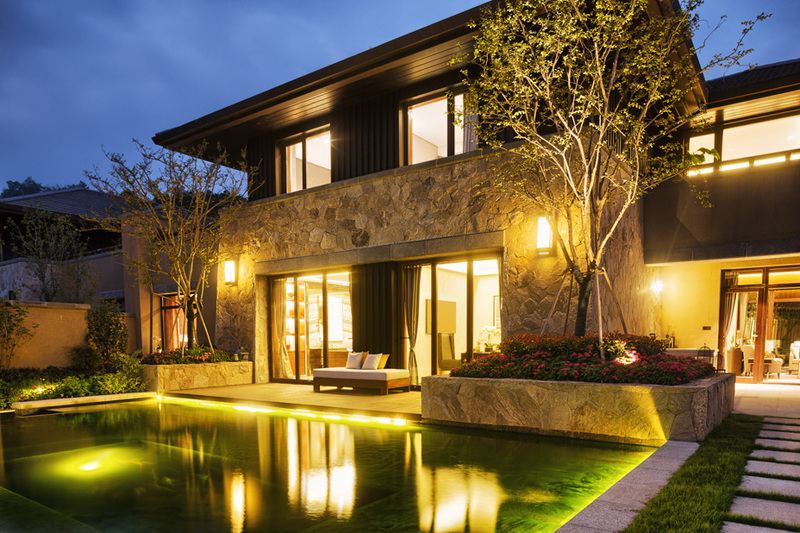 If so, illuminating it with an underwater lighting system can not only provide an elegant aesthetic touch, but it can also make your yard safer for unsuspecting guests. 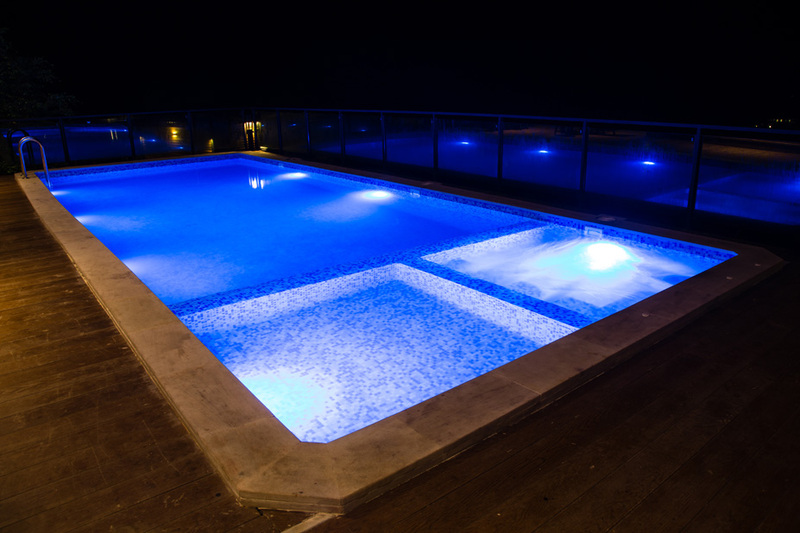 Our team of Toronto electricians and Toronto electrical contractors specialize in providing underwater lighting installation for homes with pools, ponds, and fountains. Watching a pool shimmer in the glow of a warm underwater accent light can really make the scene stand out in your guest’s memory. All Toronto homeowners should consider lighting their driveway. When you pull into a fully lit driveway at the end of a long day, you always feel right at home. Also, a lit driveway is generally more welcoming, and it makes it easier for your guests to notice their turn off of the road. As a result, this lessens the chances of road accidents near your home. A series of well-placed LED lights along the sides of your driveway will help define its borders. These lights can be installed at ground-level, or a Toronto electrician can install them on pillars. Either way, this will make your driveway noticeable from afar and add an extra flair to an otherwise ordinary part of your property. 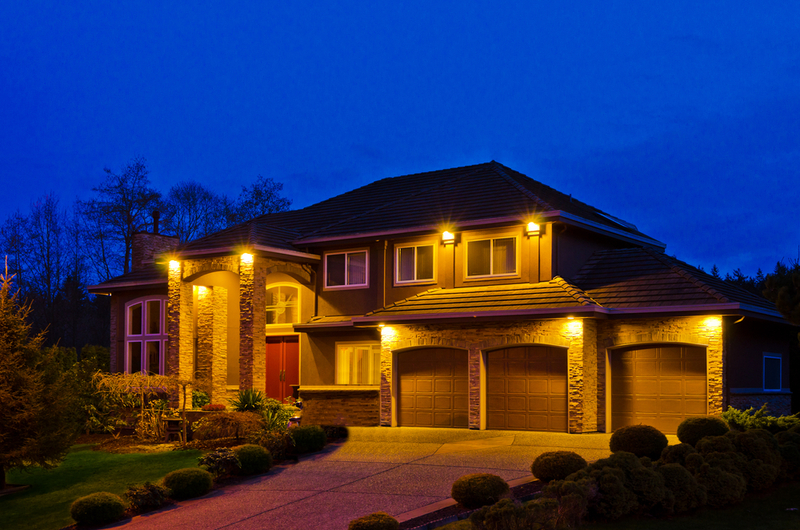 If you are considering adding driveway lighting to your home, you should also consider motion activated LEDs. Although they would not illuminate your driveway for passersby, they would provide a more energy efficient solution for your property. We advise consulting a Toronto electrician or Toronto electrical contractor about adding in motion activated driveway LEDs. Outdoor lighting can be powered by gas systems, solar electric systems, or via installation with a home’s electrical system. In most cases, integrating your outdoor lighting system with your indoor electrical circuit will result in a more reliable and long-lasting arrangement. Consult with a Toronto electrical contractor to determine which power source is best for your specific needs. Permanent light fixtures perform their best when connected via AC mains power through wiring. Electrical wiring of this sort can be dangerous, and should not be performed without consulting an experienced Toronto electrician. We strongly recommend leaving the task of power sourcing to professionals, such as Toronto electrical contractors or Toronto master electricians. We’ve covered a lot of ground. Let’s take a step back and recap some of the information we’ve gone over. Also, we will share some important takeaways, tips and tricks for finding the perfect Toronto electrician to outfit your home with perfect outdoor lighting. Those looking to cut costs and add value to their homes while remaining eco-friendly should always consider motion activated lighting wherever possible. Protect your bulbs. Be sure to weatherproof your light fixtures to prevent short circuiting and broken bulbs. Choose your wattage carefully. Not every light fixture has to operate at full capacity, as an overlit area can cause unappealing light pollution. A Toronto electrician can help discern where more or less light is needed on your property. To save money, always seek out a professional. Hiring qualified Toronto electricians can get the job done right the first time, which will cut costs in the long term. Always prioritize footpaths, steps, and entries. For safety reasons, these areas should always be reliably illuminated. There’s no need to over-do it. Your eyes do not need as much light outdoors as they do indoors in order to discern shapes, colours, and designs. When it comes to landscape lighting, sometimes less can be more. Think you’re ready to take your home’s exterior to the next level? Check out our team of expert Toronto electricians. At Hotwire Electric, we have satisfied countless clients all across the Toronto area with premium quality electrical service. With an array of Toronto master electricians and Toronto licensed electricians, we have the expertise to get the job done, every time.